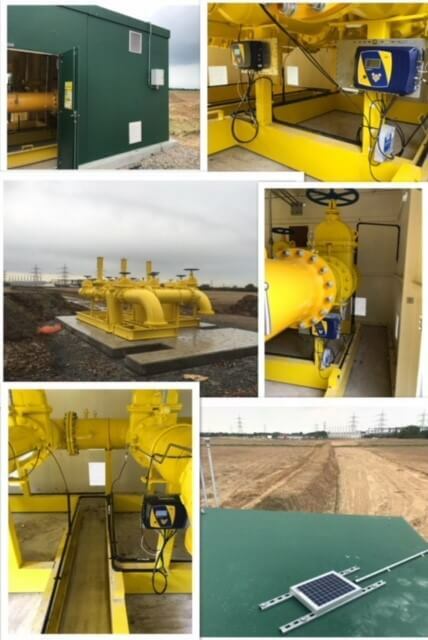 This project showed Utility Meters Warehouse Ltd working closely with our Client to provide a Triple Stream Metering Module capable of delivering 130MW – 12200m3/hr. Once the module was built and delivered to site. We listened to our customers’ requirements along with the Meter Asset Manager involved to provide a solution for them to receive remote Meter reads for billing purposes/ performance data of module and energy consumption which is required more frequently than industry standards. These devices installed allows both parties to access data remotely for Billing/ Energy Consumption; Monitoring Pressure and safety device aspects on the module along with diagnostic information of the Maxi equipment performance. They send alarms to allocated users when thresholds are reached or tripped. Our Liaise software can be accessed anywhere using a web portal base to view and download data from the Maxi Elcors on site. The Elcor range is capable of measuring as low as 1 second periods and as this would have an impact with battery life within the device, we added a solar panel with communication box to the safe area of the Gas installation.